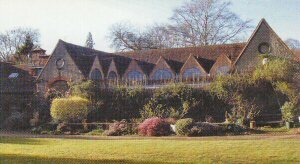 Since its formation, the Society for the Arts and Crafts Movement in Surrey has had a close relationship with the Watts Gallery and now supports the Gallery with their Hope appeal. 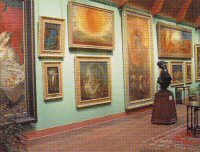 Watts Gallery was opened in 1904 to house the studio collection of George Frederic Watts OM RA (1817-1904). 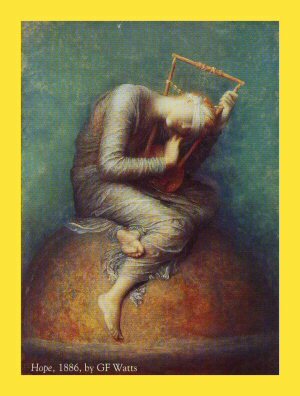 The collection has 1,000 works of art including portraits, landscapes, symbolist and allegorical paintings, sculptures, a vast repository of sketches and drawings and ceramics by Mary Watts. One hundred years since it opened, the Grade II* Listed Arts & Crafts building is at serious risk and, without support, will not survive. The Hope Appeal has been launched to restore the building, conserve the collection, place more of it on show and establish Watts Gallery as a centre for the exploration of Victorian art, social history and craft. Hope Appeal Committee: Martin Beisly, Baroness Virginia Bottomley, Professor Rob Dickins CBE, Sir Andrew and Lady Duff Gordon, Christopher Forbes, Veronica Franklin Gould, Isabel Goldsmith, Robert Napier, Richard Ormond CBE (Chairman), Adam Prideaux.